If like us, you’re always on the lookout for a simple and secure payment method for casino depositing; we think we’ve found the latest banking method to revolutionise the gambling industry. Neosurf casino banking might be relatively new, but Neosurf have actually been a secure online payment provider since 2004; which just goes to show how trusted they are with their customers. Neosurf is a little different from other payment methods like Instadebit, as it is a pre-paid voucher. What does that mean? Basically by loading the voucher with cash, online players can in fact forgo using any credit or debit cards; keeping their bank details safe. Although relatively new, Neosurf has quickly become a popular payment method with casino players around the world. The prepaid card can be used online to transfer funds to participating casinos, the card can be loaded in varying values between £10 and £100. Depositing is both simple and fast, as well as being accessible 24/7, so your gaming fun can continue day or night. By selecting any of the sites mentioned above as your Neosurf casino, not only will you have secure gaming, you will also be able to access hundreds of real money casino slots, live dealer and traditional casino games. 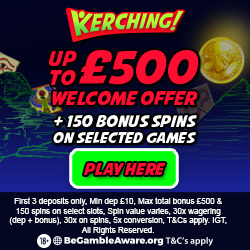 There is also a small matter of a juicy welcome bonus for new account holders, which can be as much as a 100% cash match bonus up to £100. 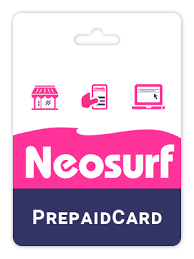 Giving you lots of extra cash to play with, so you may not need to use your Neosurf prepaid card for a while. If you have used this deposit method before than you’ll no doubt just be looking for a new casino play at, one that accepts Neosurf. But if you have seen it mention online or on another casino, you may be intrigued as to how it works, as well as whether you should begin to use it. In order to make your casino deposit using Neosurf, there are a few things you should know and a process you’ll need to follow; which we have detailed below. First things first, you will need to purchase a prepaid card. In order to do this simply visit the Neosurf website. Once there, visit the where to find section in order to locate your nearest outlet; which can be anything from convenience stores, supermarkets and internet cafes. As previously mentioned the cards come in varying denomination, which £10, £15, £20, £50 and £100; so if you are looking to deposit more than the max card amount you will need to purchase multiple cards. Buying cards can be done using cash or card, exactly the same as any instore purchase, so the casino will never see your financial information. Alternatively, players can choose to open a MyNeosurf account, which works just like any other e-wallet. Payments into the account can be made using debit cards, bank transfer or the prepaid card. The added benefit of having an account is that you can manage your transactions online, as well withdraw any winnings in to it. Once you have your prepaid card, a casino deposit can be made. In order to do this you will need to log in to a new or existing account. Once there, a payment can be made in four simple steps. Upon visiting the cashier simply select Neosurf as your payment method, a pop-up window will appear for you to enter in the amount of money you wish to deposit. The amount entered doesn’t have to be the full value of the card, so you can leave a little to play with for another day. The back of the card contains a secure 10-digit code, simply input these numbers and click enter and the money will be transferred to your casino account. If you have some winnings you want to cash out, in order to resist spending them; a MyNeosurf account will be required. Simply select Neosurf as your withdrawal method and the amount you wish to withdraw; the amount will them be transferred. There are then two options available for getting access to this cash, transfer it to your bank as you would with PayPal or use a Neosurf MasterCard to spend the money online or on the shops around the world. We’ve probably already covered this but we thought it beneficial to highlight the benefits of using Neosurf to those who are new to it; of which there are plenty. The first benefit that stands out is the sheer speed and simplicity of using it to make payments online. It’s this easy process that make Neosurf so secure, it’s in fact one of the safest online payment methods available. Secondly, there are more ways to fund you casino accounts, as unlike any other payment methods like PayPal you can buy credit offline with cash; as well as the usual card and bank transactions. So no one ever has to see any of your financial information. Finally, where one of our favourite payment methods fail (Payforit), Neosurf succeeds. You can withdraw any winnings to your online MyNeosurf account for transferring to your bank. There is also the unique option of using their very own MasterCard, so you can both fund your casino account and spend any winnings on the high street. Hopefully this guide has helped you understand this payment method a little more, or at the very least offer you a new casino to plat at. So with that in mind feel free to have a look at the other payment methods we utilise or even some casino reviews.